Playing the bass guitar well means playing grooves. Everyone loves groovy bass rhythms. Using the following figures (and lots of practice), you can play a perfectly authentic groove in just about any of the main musical genres. 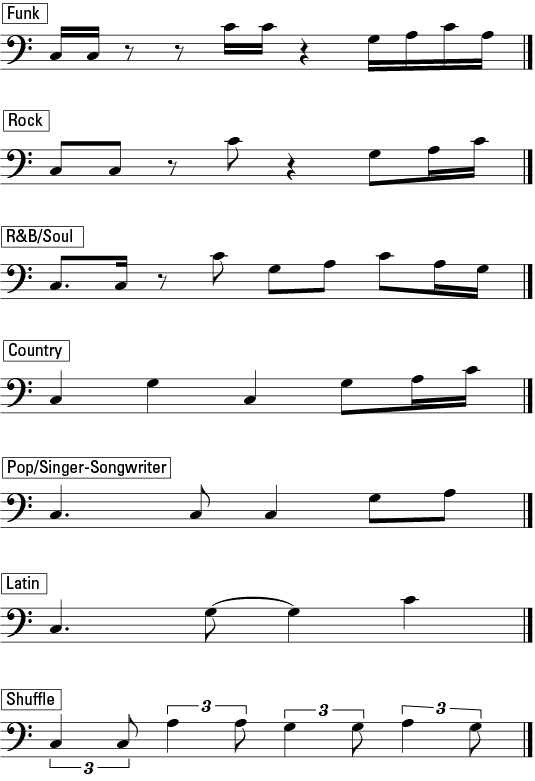 Best of all, you can do so using the same set of notes for each of the grooves. These grooves fit over any major, minor, or dominant chord. One size fits all. Grooves for multiple music genres. Ambiguous Harmony Box for major, minor, and dominant chords. Click here to download and print this article’s exercises and diagrams.